Justice for Iran (JFI), 11 March 2016: On the eight year anniversary of Kurdish political prisoner Zeinab Jalalian’s arrest; Iranian prison officials, in Khoi prison, have demanded to keep one of Jalalian’s family members, in essence, hostage in exchange for her temporary release for medical purposes. When the family asked the prison officials to keep Zeinab’s father in exchange for her temporary release; the prison officials responded that they would want to keep a younger member of the family instead. She suffers from an acute conjunctiva and she is in danger of losing her eyesight. In addition to conjunctiva, long years of imprisonment has led to other illnesses, like terminal intestine infection and gastrointestinal bleeding, but Iranian prison officials are preventing her from receiving medical treatment. Zeinab Jalalian was arrested on, 10 March 2008, on a road from Kermanshah. She was initially sentenced to death for her alleged membership in the Party for Free Life of Kurdistan (PJAK), and spreading propaganda for anti-governmental organizations, alleged armed activities against the Islamic Republic of Iran, carrying an illegal weapon and other military equipment. She was initially sentenced to death in 2008, but in 2009, her sentence was commuted to life imprisonment. Zeinab Jalaian was a women’s right activist in Iraqi Kurdistan since 2000, and as a supporter of Kurdish Workers Party (P.K.K) she was engaged in social movements in southern Kurdistan. She did not have any other engagement with P.K.K during this time. After the establishment of PJAK in 2004, Zeinab joined this group with hopes of improving Kurdish women’s condition in the region. 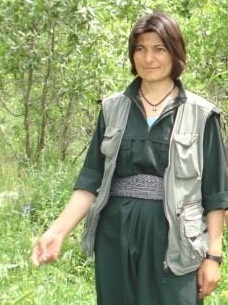 Most of her social work involved education and women’s rights during her involvement with PJAK. She did not participate in any armed or military activities. In a comprehensive report published by Justice for Iran in 2015, we documented numerous human rights violations in this case including arbitrary detention, arrest without a warrant, violation of the right to legal counsel, violation of prohibition against torture, violation of the principles of fair trial, prevention of contact and violations of a prisoner’s right including visitation from family, violations of the rights of prisoners to access health services and due process of law. International women’s day, this month, marks the eve of the eight year anniversary of the imprisonment of Zainab who is the only female political prisoner in Iran to be given a life sentence. Last year, JFI in collaboration with REDRESS urged the UN Working Group on Arbitrary Detention to intervene on behalf of Zeinab Jalalian. The petition, urged the UN WGAD to call on the Iranian Government to grant Zeinab Jalalian a re-trial that complies with international standards for fair trial, including disregarding any evidence obtained under torture or other ill-treatment. We also request her protection from further torture and ill-treatment and access to all the necessary medical treatment, including urgent care for the degenerative eye condition that is causing her to lose her sight.